"It has been answered sufficiently, there has been no conflict of interest among the stakeholders and things have been going on hunky dory "
This was told to SODELPA MP Viliame Gavoka yesterday by Speaker of Parliament Ratu Epeli Nailatikau as Gavoka continued to press the Attorney General and Minister for Civil Aviation Aiyaz Sayed‑Khaiyum to answer his question. 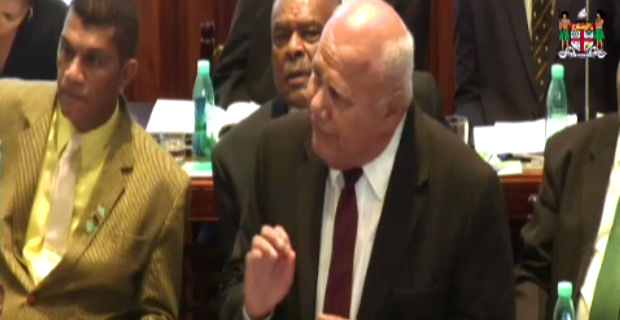 Gavoka had asked Sayed‑Khaiyum why the CEO of Fiji Airways was the Chairman of Tourism Fiji. Sayed‑Kaiyum says there is absolutely no conflict of interest being the Chairman of Tourism Fiji and the CEO of Fiji Airways. He says Fiji Airways focuses on getting people to travel to Fiji via the airline while Tourism Fiji markets Fiji to the world. Gavoka continued to ask the Attorney General and this was when the Speaker said the question has been addressed sufficiently.